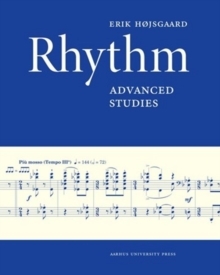 In Rhythm - Advanced Studies, Erik Hojsgaard, composer and professor of aural training at the Royal Danish Academy of Music, provides a detailed guide to reading and understanding advanced use of rhythm. The 451 exercises and their corresponding notes allow those professionally involved with music to further develop their technical and practical skills in this specific area. The book also includes exercises aimed at developing modern composition techniques. Danish professor and composer Per Norgard writes: "The many aspects of aural training in this book by Erik Hojsgaard have been inspired by his deep insight into western music and its thousand-year-old traditions. Written with a clarity that allows for rhythm and polyphony to be presented in an understandable form, Hojsgaard's book is both musical and entertaining. There is no doubt that one gains new insights and musical joys after working through the book's exercises."